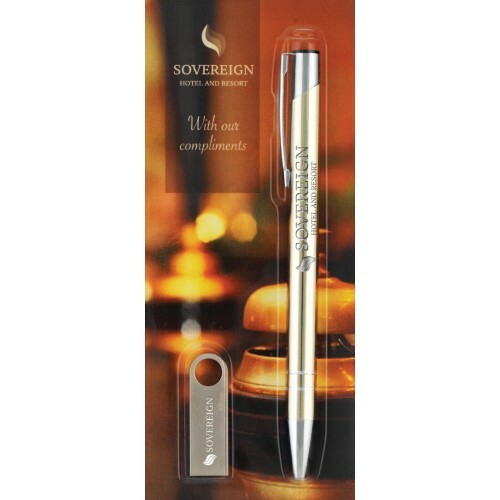 The anodised aluminium Electra Ballpen or Electra Touch Ballpen with capacitive stylus paired with Kingston SE9 USB Flash drive in 8GB storage capacity. Pen and USB can be laser engraved. Full colour printing available over entire front and reverse of packaging.